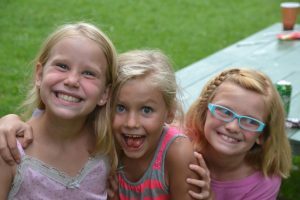 Sending your child to camp is a huge decision! At PLCBC, we understand the commitment, trust, and concern that comes with sending a child away for a weekend or week-long camp experience. 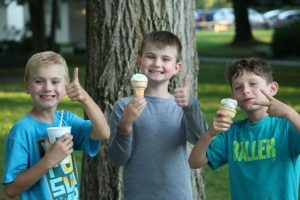 If you, or someone you know, has any questions or concerns about the camp experience, especially for young children, watch this video, or consult the “Frequently Asked Questions” guide below to hear about the way Portage Lake is set up to create a safe, memorable, and fun experience for you child. 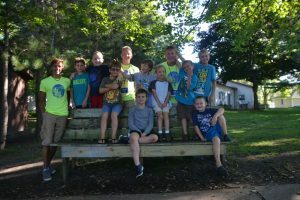 These questions come from some of the top concerns parents of first-time campers had when choosing to send their child to Portage Lake Covenant Bible Camp. Each question is also answered the video above by our Executive Director, Dave Nesburg, and each question will reference the time in the video where you can view that. If you have any other questions, concerns, or comments, please call Portage Lake at (231) 889-5911. Thank you! 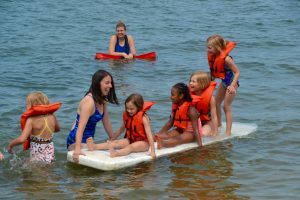 PLCBC understands that the water can be one of the most fun, but also one of the most dangerous areas at camp. Every summer, camp hires qualified, responsible, and certified lifeguards to make sure everyone in the water is safe. All campers are required to check in and out when entering and exiting the lake, and every few minutes buddy checks are done by the waterfront staff to ensure everyone is accounted for. There is never a camper in the lake or on a boat who is not watched intently by PLCBC life guards! Also, every staff member at PLCBC is certified in First Aid and CPR. When it comes to allergies, PLCBC’s kitchen is notified and accommodates dietary restrictions. If necessary, the counselors of campers with severe allergies can carry the necessary equipment (epipens, inhalers, etc.) with them to ensure immediate treatment if necessary. There is also first aid kits and allergy relief equipment available on all sides of camp, including the ropes course areas and on the nurse at all times. The camp nurse (who is awesome!) is always available, and has necessary supplies and equipment to treat any and all allergies and injuries. Homesickness actually is much less common in our youngest campers (Pathfinders) due to how short the camp session is, and because they are SO busy and having SO much fun! There is so much excitement for their first time at camp, and maybe first time away, that homesickness rarely shows up. 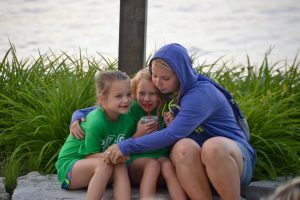 When homesickness does occur in any age, Portage Lake counselors are trained to help campers by listening to them and their worries, setting short term goals, and almost always leading them into a great week full of fun and fellowship with other campers. The camp nurse is also available in cases of homesickness to help the campers feel more comfortable with an older, more motherly presence. The cabins that each camper is placed in almost immediately becomes a close, wonderful family, not only for the campers but for the counselor as well! Having these close bonds, and having cabins with no more than about 10 campers ensures a close community that also allows campers to feel safe, supported, and loved. The schedules, meals, and programs at PLCBC are set up so that each and every camper is safe, nourished, and rested. Bed time is appropriately based on the campers ages, with younger Pathfinders and Trailblazers going to be quite a bit earlier than the older Jr. and Sr. High campers. There is also a one hour rest period each day to ensure that campers are getting enough rest throughout the week. Counselors make sure that each camper is keeping clean, changing their clothes (as much as some Trailblazers may not want to! ), wearing sunscreen, and generally being healthy and safe. For meals, PLCBC’s kitchen staff does a great job making sure that meals are not only nutritious, but delicious! Campers are given and encouraged to eat and try vegetables and fruit that are available at meals. And there is always an option for good old Peanut Butter and Jelly if a camper does not want to each the available meal. The camp nurse is in control of all medications, and is excellent at getting those medications to campers when they need it throughout the day. One of the really awesome things about the structure and schedule at PLCBC is that it is designed for inclusion. The camp community is very special, and inclusion plays a huge role in that. The cabins, programs, and activities are set up so that campers are always with cabin-mates and friends! Cabins become small families by the end of the first night, as they play games, do activities, eat meals, and sit together in chapels and camp fires. These cabin groups, and the activities planned all throughout the weekend or week of camp ensures that every camper feels a part of the family within hours of coming to camp! This is something that Portage Lake Covenant Bible Camp takes very seriously. Camp works extremely hard to find and hire the best possible people for summer staff. Each person who applies to work at PLCBC goes through an interview (sometimes two), submits three reference forms, is put through a criminal background check, and is put through the Central Registry, which tracks any cases of child abuse or neglect. Portage Lake’s full time staff has gone through Ministry Safe‘s incredible training program, which has helped build a better application, screening, and interview process as we find the best possible people to work at camp. PLCBC not only hires young people of incredible character, but most importantly, people that love Jesus and want to serve your children and keep them safe. We understand your concern for your children’s safety, and that is our number one priority, not only as we hire staff, but as we go throughout the summer. During staff training, policies are put in place to ensure safety and accountability. Support staff members are paired with counselors every week so that two or more staffers are with each cabin, and any one on one interaction with staff members and campers always occurs within sight of others. On top of that, Portage Lake is a closed campus during youth camps so that we always know who is entering and exiting the grounds. 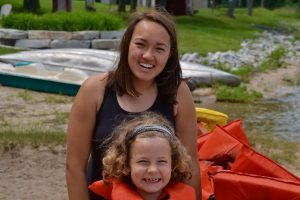 Everything we do before hiring, while hiring, and after hiring the summer staff each year is to ensure maximum safety and fun for every camper who experiences Portage Lake. We understand that it is a difficult thing to completely be out of contact with your child! Taking away their phones and other technology is an awesome way for them to take a few days a year to enjoy the people around them, enjoy nature, and enjoy camp! However, we know that makes it hard for many parents to feel and stay connected with what is going on with their child. However, there are plenty of awesome and exciting ways to keep connected with the camp experience throughout the week/weekend that your child is here. Following camp’s social media sites (click the images below to learn more! ), adding portagelake on Snapchat for updates throughout the day, and sending mail and care packages, are just a few of the ways you can keep up with what is going on at camp! Stay tuned for more information on some new ways we will be posting photos and info! We’re really excited to continue to find new ways to show you the incredible things your children are experiencing at PLCBC. There is also a closing day rally in the chapel on the day you pick your campers up where you can see the slideshow and video from the week, hear from the speaker, and more! 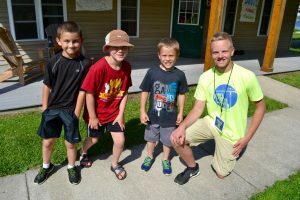 On that closing day, you can also get a recap of the week from the counselor, as well as your camper (as long as they aren’t too sleepy!). We know it’s hard to be so far away for a long weekend or week, and will do everything we can to keep you updated on what is happening at camp, but rest assured that your child is having the time of their life! We hope this information can be useful for you or someone you know who still has some questions about sending a child to camp. Please feel free to share this resource with others, so that hopefully some of their questions can be answered! We know this is a big decision, especially with young children, so If you ever have any additional questions, comments, or input for us, please feel free to give us a call at (231) 889-5911. You can also find more information on each camp, including the summer schedule by clicking here. Thank you! Click here to register for summer 2017!